Skiing is fun. Skiing with friends is more fun. Skiing with friends and family is even more fun. 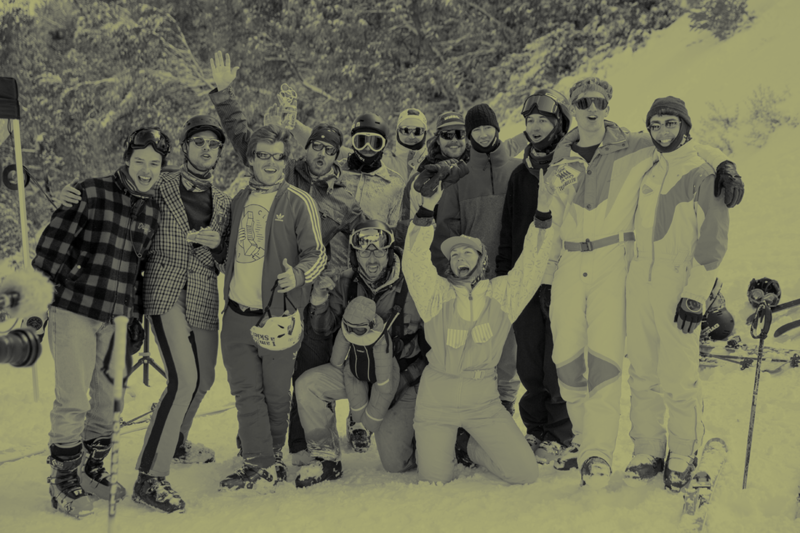 Skiing with friends, family and music is even more fun again. Skiing at Mt Buller with friends, family and music is the best. Ski with us and have the best day of the season. FreeBOM is here for you. Under lights on Bourke Street Len Liese and Salvador Ricardo will be turning records as Mt Buller turns Blue Bullet. Bring the kids for twilight skiing whilst you embrace the ski boot boogie and a couple of Corona’s. "Wow! This is living. This is FreeBOM." Free love is the BOM. So please show your love by helping out on the day. We love people who help to set up, pack up, shoot video and take photos. Please get in touch by pressing the button bellow. "We come together with music to freeski"
Buy a spectators ticket to show your support. ​This event runs on the sniff of a Buller snow storm. Help to make it snow more. Help to make the event live. Please show your support. Not because you have to but because you want to.